I was very bored in the office so I took my own sweet time tidy up all my messy photos in my laptop. And out of a sudden, I realized I haven post up my girl’s birthday post yet. > < (sorry dear...) So, again this was my another redundant post after I started my internship. Alright, back to the story. My girl’s birthday was actually on 16th of May, and at that time we were both having final examination. What a wrong timing again… I missed out my second valentine’s day with my girl this year and now her birthday fall on exam week! Can my university change the examination date to June instead of May? Cause I really pissed off facing such situation anymore. My girl asked me do not buy her any expensive cake this year and a RM20 one will do. 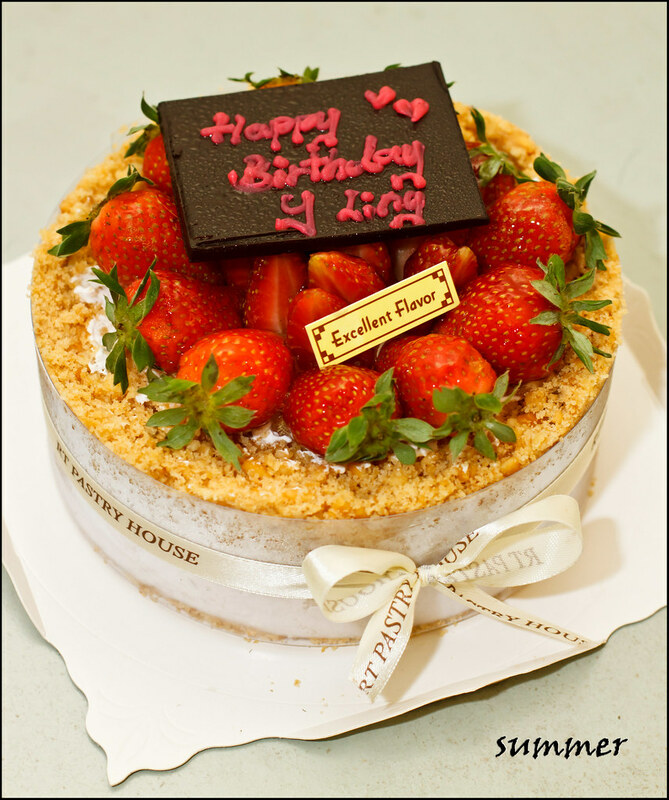 Then, I remembered she showed me Strawberry Tart at RT Pastry House from ling239 blogspot. So, I made my mind to buy her this. 500g Strawberry Tart for RM33 was consider cheap to me. 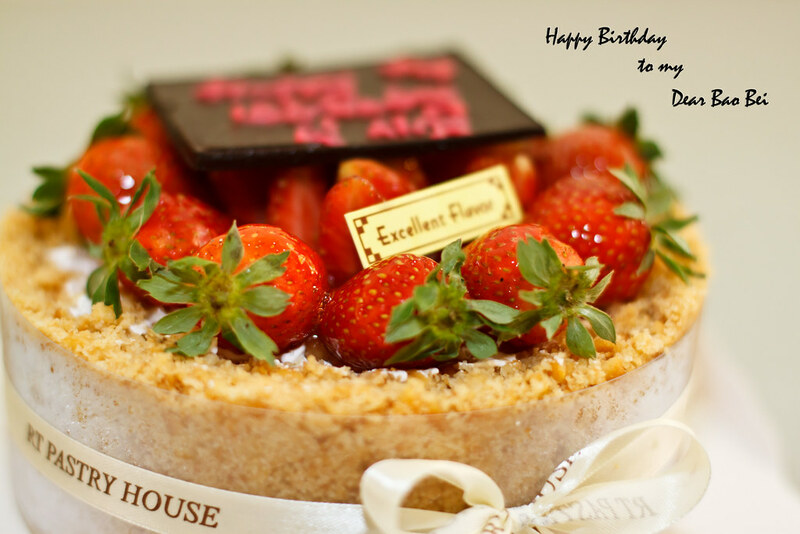 The appearance was indeed look like a cake but I wonder why the shop called it as Strawberry Tart. Haha.. Anyway, that was not the main point. My girl was very unhappy before this because many red patch appeared on her body that night, and she kept scratching on it. Well… As her “24hour good boyfriend”, I must do something to make her happy! So, I brought the cake to her and sang a birthday song for her. And yes! Finally she had a smile on her face. Birthday girl should be happy on her birthday right? The Strawberry Tart was actually a Japanese cheese cake surrounded with cereal crust and topped with strawberries and cream. 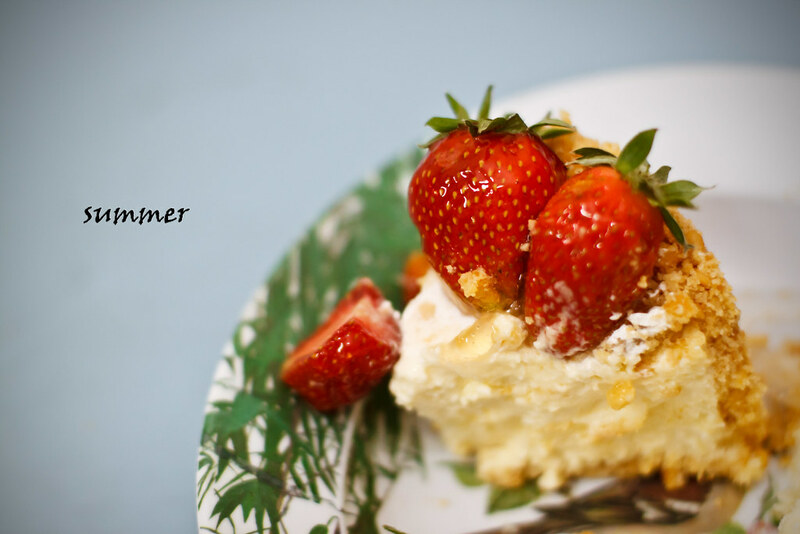 At first I was afraid that the strawberries would be very sour but it was not at all. My girl enjoy eating her favourite strawberries. Underneath the tart was the japanese cheese . The cheese was so soft until it instantly dissolved when I put into my mouth. The cereal crust was very crispy too. 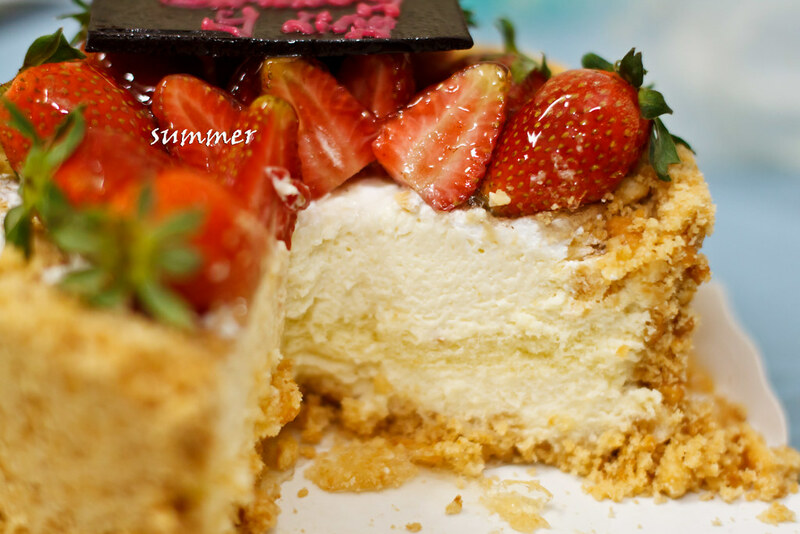 Yummmmmmmy… This was really a wonderful cake at the price of RM33 only. I wish her happy belated birthday again and hope everything goes well when she is in Penang now. 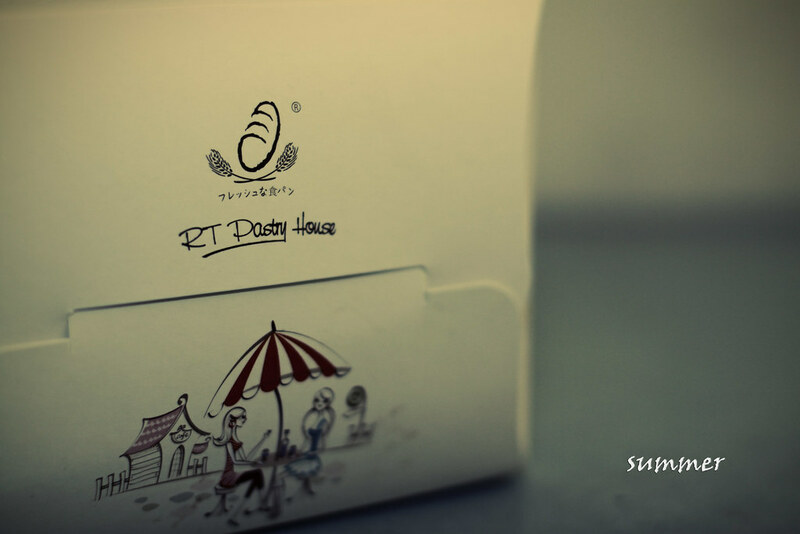 Very popular cake house at Subang Jaya but can be pricy. Nava.k : yea.. and the bread sold there nice too. the cake shop has quite a good review on it.